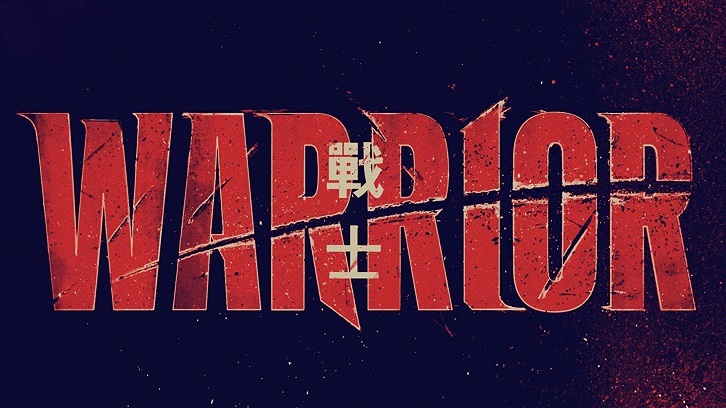 Based on a treatment and extensive character notes by the legend that is Bruce Lee, Cinemax’s highly anticipated Warrior finally hits the screens this week. Set in late 19th century San Francisco it follows fresh off the boat Chinese immigrant Ah Sahm (Andrew Koji) as he navigates the murky underworld of Chinatown’s criminal families during his search for his long lost sister. 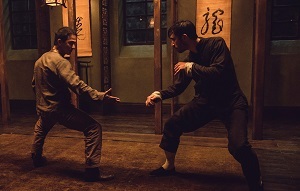 After a brief altercation before he’s even left the dockside, where his obvious proficiency in martial arts attracts the attention of local fixer and friend to all Wang Chao (Hoon Lee), he finds himself ‘sold’ to one of the city’s most powerful tongs, the Hope Wei, where his quick wit and canny fighting skills swiftly make him a firm favourite among those at the top of the racketeering business he's joined. As well as Chinatown and the tong wars themselves, the series brings in other elements of life in San Francisco which broaden the story considerably. 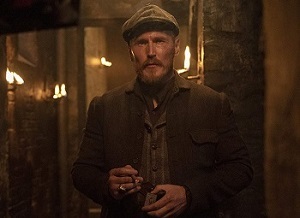 Firstly, there are the Irish Labourers, such as Dylan Leary (Dean Jagger). A self-styled leader and no stranger to the illegal back alley fights where he’s just as at home stamping his authority on any who dare to face him as he is banging a bar table as he riles up followers in his race hatred. 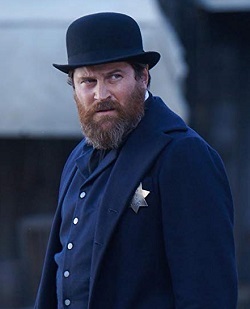 The Chinese are taking the jobs, leaving him and his brothers cast aside by the country they fought for in the Civil War, which is something they will not be taking lightly. Historically, some of the tongs united when a common enemy threatened them, so this could well be what we see happening further on in the show. The other main group we see are the political elite and police force, those who in essence make the rules and regulations for the city. As with many people who hold the power, there is a certain amount of corruption and underhanded dealing afoot, though they undoubtably see themselves as completely different to the criminal underbelly of the tongs. The intense immigration prejudice many of them hold is not dissimilar to the Irish workers, though their intent is obviously from another place. The sheer amount of criminal activity makes it extremely difficult for the force to police the neighbourhood, for example, especially when there is an unprecedented amount of hate crime being committed so openly in the streets. I’ve only caught the opening episode myself so far, although I plan to rip my way through the rest this weekend when I finally have some time to myself, so this preview will be somewhat limited by that. As pilot’s go, I’m impressed at the intensive scope of the series which the production teams have laid out in such short shift. Introducing so many characters over a single hour can be challenging enough, yet when the credits role the lines between each of the important players are squarely drawn and will no doubt have you already rooting for certain quarters over others. The layers of political intrigue, the all too often contested positioning for place in the class system, sexual tensions between parties, the duplicity of power players, all these themes and more run through many of the character’s lives, instantly making them human and fallible to the viewer. Then, of course, there is the violence. As a fan of Tropper’s Banshee I was expecting a certain level of choreography and style when it comes to the action, and I’m pleased to say that so far I’m not disappointed. There is no huge stylised Nola/Burtonesque brawl in this opener, which I have to say was probably for the best. Each performer does more or less get to show their personal styles off, however, with martial arts, bare-knuckle boxing, brawling, and various weapon handling all on display at some point, with central protagonist Ah Sahm notably having more occasions to showcase his prowess against different opponents. Some are gorier than others, some inject a humorous aspect to them, and some are cut short leaving you salivating for more – such as the first meeting between Ah Sahm and rival tong lieutenant Li Yong (Joe Taslim) whose next bout with each other promises to be of epic proportions. The Itchy Onion airs on 5th April at 10pm on Cinemax. Below are a few dialogue teasers for you, and please do remember to come back after the show to take part in our poll and episode discussion.